David Allman is a Member of the Anacacia Capital Business Advisory Council and Chairman of Anacacia portfolio company, Catalyst Education, a leading post secondary educator. 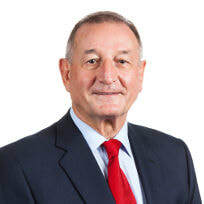 David was formerly a Non-Executive Director of Lomb Scientific, the Chairman of Muir Engineering and is the Non-Executive Chairman of Gale Pacific Limited and McPherson's Limited where he was formerly the Managing Director. McPherson’s is a major Australian consumer products and printing business that has acquired several businesses from private equity firms. Prior to joining McPherson’s, David was Managing Director of Cascade Group Limited. Before this he held senior positions with Elders IXL Limited and Castlemaine Tooheys Limited. David holds a degree in engineering and prior to obtaining general management positions held managerial roles in production management, finance and marketing.